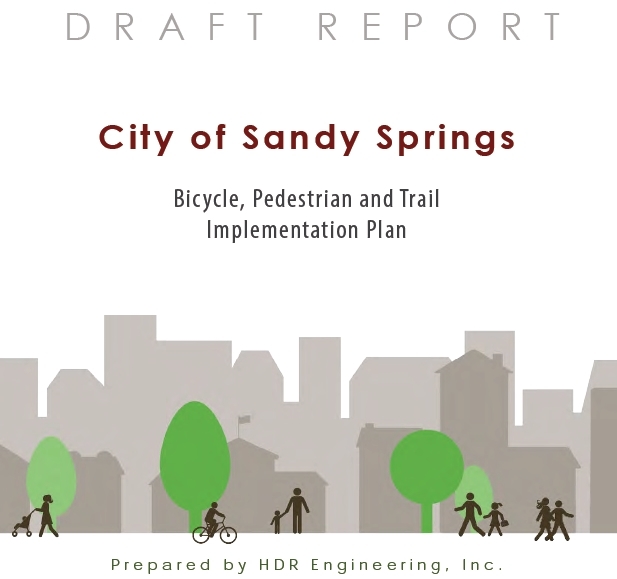 The Sandy Springs City Council will be having their FIRST READ in a Work Session of their proposed Bike/Ped Trail Plan on Tuesday (12/2) at 6 pm. The Staff is RECOMMENDING approval of the plan – as is…and there’s some important things that need feedback from the cycling community. Dependent on the feedback they receive on Tuesday night, this plan is scheduled to be voted on as early as December 16th. Come 15 minutes early. Sign up for Public Comments. 1. Eliminate or greatly reduce the use of Sidepaths from the plan (See Figure ES1. Most of the recommendations are Sidepaths). Do not look at the PCID Commuter Trail Plan & their suggestions for Sidepaths. The PCID Plan has not been voted upon by elected officials nor has received any public input. (It was approved by the PCID Board of Directors). Sidepaths are very dangerous in urban areas and oftentimes merely serve as wide sidewalks. Instead of Sidepaths, use Cycletracks / Protected Bike Lanes as defined by NACTO and by the Greenlane Project. If you are on Facebook & want to be involved with Bicycling Advocacy in Sandy Springs, please join / follow / like the Bike Sandy Springs Facebook group.